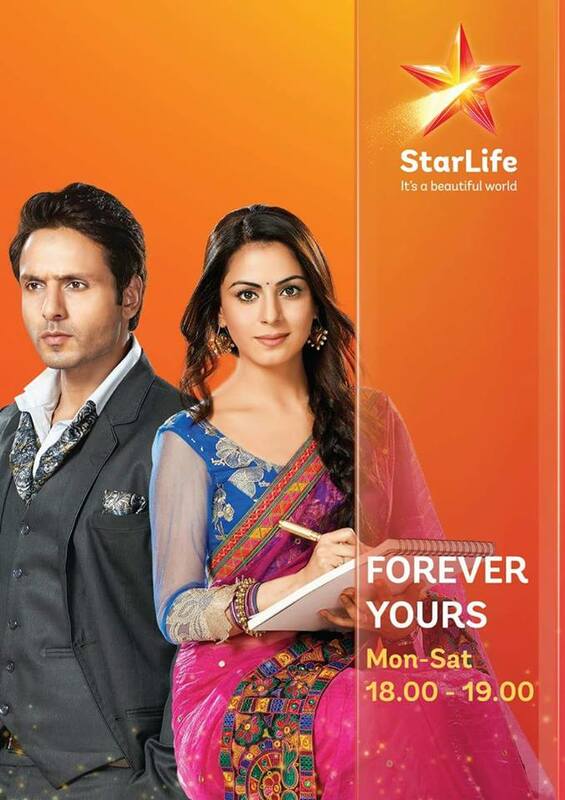 Check out teasers of what will be showing on Forever Yours showing this December on StarLife. Paakhi learns that Anuja is hiding the truth about her children. Anshuman meets Anuja and tells her that he regrets what he did to Paakhi. Later Lavanya tells Anshuman that she has information about their mother and that she has a family. Anuja and Paakhi motivate Deepika to fight back against a man who misbehaved with her. Meanwhile, Paakhi wishes to negotiate with Anshuman for Ayaan's sake. Later, Anuja and Paakhi share their feelings with each other. Anshuman tells Tanya that her fiancé is already married, but she refuses to believe him. Lavanya is angry with Anshuman for meeting with Tanya. In Delhi, Deepika and Paakhi decide to reunite Anuja and her children. Anshuman decides to reveal the truth to Tanya about her fiancé, even after she humiliates him. Meanwhile, Paakhi comes to know that Anuja has read her personal e-mails, who in turn asks Paakhi to take up a job offered to her abroad. Paakhi and Deepika strive to find the photographs of Anuja's children but find a letter instead hidden by Anuja and decide to post it to Anuja's children on her behalf. Anshuman tries to trick Tanya's fiance into revealing the truth. Paakhi posts the letter and when Anuja inquires about it, she tells her the truth. Anuja slaps Paakhi for posting her letter. Anshuman gets to know that Tanya's life is in danger, as Pracheen wants to kill her and seize her property. Paakhi tries to explain her reason behind posting the letter to Anuja. Pracheen's associate executes his plan against Tanya. Tanya becomes unconscious on inhaling toxic smoke. Will Anshuman be able to save Tanya's life? Tanya regrets not believing Anshuman and also apologises to Lavanya and Girish for her bad behaviour. Anshuman receives the letter that Paakshi posted on Anuja's behalf. In Delhi, Anuja refuses to forgive Paakhi and decides to leave. Paakhi proves to Anuja that after reading the letter her children are searching for her, which makes Anuja happy. Anuja gets to know that her children are visiting Delhi to meet her. Will Paakhi come to know the reality? Anuja is worried about meeting her children and wants them to forgive her. Anshuman tries to call Anuja, but she hesitates to take his call. Finally, Anuja meets Anshuman. Anuja and Deepika persuade Paakhi to accept the job in Singapore. Lavanya decides to cancel her surgery in order to take care of Naina. Anshuman apologises to Anuja for his father's misdeeds. She informs Anshuman that she does not have a family. Deepika and Paakhi prepare to welcome Anuja's son. Lavanya experiences stomach pain and Girish takes her to the hospital. Paakhi departs for Singapore. However, Deepika identifies Anshuman, and informs Anuja that Paakhi is her daughter-in-law. Will Anshuman be able to meet Paakhi? Paakhi reaches Singapore and meets Rohan. Anshuman promises Anuja to mend his relationship with Paakhi and bring her back. Girish, Lavanya and Ayaan welcome Anuja when she visits their house. Will they stay as a happy family now? Anuja is concerned about Lavanya’s health, though she is sure that Paakhi will return home soon. Paakhi agrees to participate in a cultural contest on Rohan’s request. Later, Anshuman visits Singapore in search of Paakhi and meets Rohan. Rohan asks Sara to return Anshuman’s passport which she had forcibly taken from Anshuman. Paakhi and Anshuman get surprised on meeting each other. Anshuman tries to mend his relations with Paakhi. Will Paakhi accept Anshuman’s apology? Anuja tells Lavanya about her second son, Deepak. While in Singapore, Rohan warns Anshuman to stay away from Paakhi. Anshuman asks for forgiveness from Paakhi and she tells him she will return home on one condition. Girish promises Anuja he will locate her second son, Deepak. Meanwhile, Anshuman learns that one of the colours to be used in the rangoli competition could be toxic. What will Anshuman do to help Paakhi complete the rangoli? Anuja tells Girish that she will look after Lavanya’s health. Paakhi is declared the winner in the rangoli competition. Rohan finds Paakhi and Anshuman spending some time together. Will Anshuman be able to persuade Paakhi to go with him? Anuja comes to know about Paakhi and Anshuman’s agreement. Paakhi agrees to plan for the next round of the competition. When she slips and gets injured, Rohan accuses her of being irresponsible. Will Paakhi be able to participate? Anshuman helps Paakhi in preparing the dishes for the competition and even helps to promote them. The judges accuse Rohan and Paakhi of cheating in the competition. Will they be disqualified or was there some misunderstanding? Rohan tries to instigate Paakhi against Anshuman and plans to prove to her that he is not a changed man. Will Rohan be able to prove that or will Anshuman be able to win over Paakhi? Meanwhile, Girish and Lavanya spend some time together. When Paakhi sees Anshuman speaking to Tanya, she becomes jealous. Meanwhile, Paakhi and Rohan have entered the final stage of the competition and Anshuman offers some tips, which Rohan waves off. Will Paakhi consider Anshuman’s tips? Anuja is furious at Girish for taking Lavanya to a party. Meanwhile, Paakhi is tense about the final round of competition but Anshuman helps her in her preparation. Will she be able to win the competition? When a fire breaks out in Paakhi’s apartment, Anshuman jumps to the rescue, but gets injured. Rohan, menahile, tells Paakhi that it was Anshuman who started the fire. The police suspect Anshuman and arrest him. Will Paakhi protect him? It is revealed that the fire was caused by Paakhi’s negligence but Anshuman takes the blame. Paakhi succeeds in getting him released on bail but the police order him to leave the country. Will Anshuman leave Singapore without Paakhi? Paakhi learns the real cause of the fire and realises that Anshuman is innocent. Anuja comes to know that Girish wants to spend some time with Lavanya. Tanya calls Paakhi and asks her to return with Anshuman. Will Paakhi return with him? Girish apologises to Anuja for the misunderstanding and tells her that he has gathered information about Deepak. Paakhi wants to return with Anshuman and decides to skip the competition but Anshuman convinces her to participate. As Rohan and Paakhi lose the competition, Paakhi keeps her word and goes back to Anshuman. After initial reluctance, Rohan befriends Anshuman. Meanwhile, Paakhi learns that Anuja is Anshuman's mother. Ayaan is elated to see Paakhi, and Anuja welcomes her to the house. Later, she is shocked to see a man who looks just like Anshuman. It turns out to be Aryaman (Deepak), who is Anuja's second son. Will the family accept Aryaman? Lavanya decides to hire a driver for Girish as he suffers from back pain. The family meets Aryaman and Anuja wishes to get him married. Later, Anuja and Paakhi see Aryaman in the process of stealing something and realise he is a thief. Anuja is shocked on learning that Aryaman is a thief. Anuja wishes to get him married and for that they require a DNA report. Paakhi suggests Aryaman to undergo a DNA test, to which he agrees. What would the report reveal? Aryaman's associate warns him not to get caught by Anuja and Paakhi. Aryaman agrees for a DNA test and succeeds in replacing his blood sample with that of Lavanya’s. Later, He badmouths Lavanya and Paakhi. What is his real intention? Aryaman plans to kidnap Ayaan, but fails. Anuja tries to console Lavanya about Aryaman but she misunderstands Anuja. Maaji accuses Aryaman of stealing her jewellery, and Anuja becomes furious at her. Was Maaji’s accusation true? Aryaman finds Lavanya in an unconscious state and gets her admitted to the hospital. Aryaman’s associate confronts him for failing in the attempt to kidnap Ayaan. Anshuman finds Aryaman talking to a stranger. Will he confront Aryaman? Aryaman scolds Paakhi which upsets Anshuman. Anshuman decides to find out the truth about Aryaman and asks him to accompany him to his office. Aryaman decides to steal the master key to Anshuman’s house. Will he succeed? Aryaman gets hurt while helping Anuja in the kitchen. The doctor advises him to undergo a check-up. Anuja asks Anshuman to stop suspecting his brother. Aryaman steals the key of the study room. Will Anshuman learn more about his plan? Anshuman apologises to Anuja for suspecting Aryaman, but she refuses to forgive him. He then asks Paakhi for help. Meanwhile, Aryaman is still planning to kidnap Ayaan. But how? Aryaman pretends to be Anshuman and takes Ayaan with him. Anshuman gets to know that Aryaman is planning to kidnap Ayaan and tries to find Ayaan, along with Paakhi. Anshuman is shocked at seeing Aryaman's blood report. Aryaman’s associates try to kidnap Ayaan but Aryaman saves him. Aryaman and Anshuman strive to escape from the goons. Later, Aryaman makes a shocking confession to Anshuman. What could be this devastating secret? The police admit Anshuman, Aryaman and Ayaan to the hospital. The inspector calls Suman, from Aryaman’s phone, and informs her about the accident. Anshuman’s family gets worried about him. Will they come to know about the accident? Suman comes to know about Aryaman’s failed mission. She visits Anshuman’s house and manages to kidnap Paakhi by misleading everyone about her identity. Paakhi's brother, Raghu visits Anshuman's house but Anuja find Paakhi missing. The police inform Girish that Anshuman, Aryaman and Ayaan have met with an accident. Paakhi manages to escape from Suman, and then Girish tells her about the accident. The doctor informs them that he could save only one of the brothers. Paakhi comes to know about Anshuman’s death and she tries to kill herself, but Girish and Anuja stop her. Ayaan becomes unconscious on seeing his dead body and goes into a state of shock. Will the family be able to deal with his death? The doctor asks Paakhi not to inform Ayaan about Anshuman’s death. After regaining consciousness Aryaman gets to know about Anshuman’s death. Then, Paakhi asks him to pretend to be Anshuman in front of Ayaan. Will Aryaman agree? Paakhi tells Anuja and Girish that Aryaman must pretend to be Anshuman in order to save Ayaan. Anuja informs Raghu about Paakhi’s decision. Girish tells servants not to inform Ayaan about the same. Will they be able to save Ayaan? The family is plunged into sorrow over Anshuman's death. Paakhi decides to hide his death from the media also. She presents Aryaman to the media as Anshuman. Some reporters question Anshuman (Aryaman) about the accident. What will he do? The police visit Anshuman’s house and tell Paakhi about the accident. She questions Aryaman about Ayaan’s abduction but he manages to mislead her and Girish. Later, Paakhi finds a voice message on her phone. Who and what is the message? Aryaman learns about Anshuman’s voice message and tries to delete it. Paakhi is shocked to know Aryaman’s real face from Anshuman’s voice message and confronts him. Anuja requests Paakhi not to call the police. Will she forgive Aryaman? Paakhi vows to protect Ayaan from Aryaman. Anuja tells Paakhi that she is aware that Aryaman tried to abduct Ayaan and asks her to forgive him. Anuja requests Paakhi not to get Aryaman arrested. Will Paakhi forgive Aryaman? Paakhi informs Ayaan about Anshuman's death and Anuja too comes to know of it. She also learns that Paakhi has informed the police about Aryaman’s misdeeds. Paakhi announces Anshuman’s death at a press conference. Why is she doing this? Paakhi introduces Aryaman to the press and announces that she is Anshuman’s wife. The police arrest Aryaman for murdering Anshuman. Paakhi vows to recover the losses that Anshuman’s company has incurred. How will she do that? Paakhi decides to run Anshuman’s business. The investors demand the money that they invested in Anshuman’s dream project from Paakhi. Anuja introduces Paakhi to her nephew, Veer, who can help her in business. Will Paakhi agree? Premiere episodes of Forever Yours air on Star Life at 18h00 from Mondays to Saturdays. Please note: Two episodes air on some days, and one episode airs on other days. 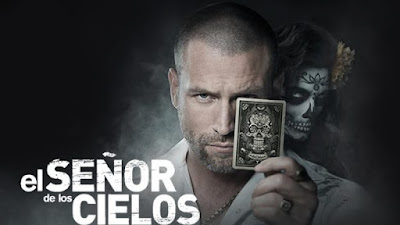 The series airs an hour a day regardless of whether there are one or two episodes.